Meet the 12 forward-thinking (and gorgeous) formulators behind Brooklyn’s natural beauty boom. Brooklyn (or at least some of it) has become the land of all-things-artisanal, natural beauty products included. And the borough’s beauties are leading the way. Inspired by the hum of Brooklyn creativity (and in some cases, their own skin-care woes), these forward-thinking formulators left an array of careers to handcraft beauty products that eschew chemicals and embrace plants, herbs, and oils. Bubbly, 28-year-old Grigore originally founded Sprout Wellness for her own sake, because her super sensitive skin couldn’t take the harsh ingredients in most beauty products. The line (which just underwent a name change) is now a natural beauty fave, thanks to its simple, effective products (most of which contain less than five ingredients), hip, clean packaging, and (we’re guessing) Grigore’s magnetic personality. She crafts S.W.’s products in small batches with her fiance (aww) inside a communal space (shared with other healthy start-ups) on the Greenpoint waterfront. How Brooklyn is that? A deep interest in holistic healing led Angela Shore to study at Kerala Ayurveda Academy and the School of Ayurveda & Panchakarma in Kerala, India. 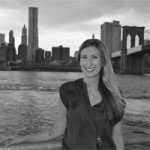 Then, she melded Ayurvedic principles and Native American shamanism to create Jiva Apoha, her line of all-natural face and body oils that she blends and ships out of her Brooklyn Heights apartment. The products are made with herbs, flowers, and essential oils, and have become beloved by models like Anne-Marie Van Dijk. Former model-rocker Theo Kogan was born and bred in Brooklyn, as was her line of luxe natural lip glosses. “I grew up in Brooklyn and have been all over the world but always come back here,” Kogan says. She describes Armour Beauty’s products as “naturally-based, long-wearing, rock ‘n’ roll lip glosses,” and they come in bright shades like Grace, a bright magenta with a blue shimmer. And although Kogan’s products are actually made in a family-owned lab in California, by operating her business from her home borough, she’s been able to get them on the shelves at a slew of popular Brooklyn boutiques like Miomia in Williamsburg, Homebody Boutique, and Diana Kane in Park Sope, and Shen Beauty in Carroll Gardens. Get 20 percent off W3LL PEOPLE, the glam, non-toxic makeup line, from now through December 31st. Soapwalla creator Rachel Winard is super passionate about natural skin care. “If I can’t create a product that’s safe and effective with only natural ingredients, I won’t release the product,” she says. She crafts her line of soaps, body oils, and more—including a genius cream deodorant—at Gowanus’ Old American Can Factory, a communal building filled with artists and artisans. Although she doesn’t mind that her products are also stocked in Paris’s most cutting-edge boutique, Colette. Although born in New York, Davis’ family hailed from North Carolina, and she drew her inspiration from her country roots. Her grandmother was an award-winning gardener and a creator of never-ending home remedies, so Davis decided to follow her lead and create natural and organic homemade products using herb-infused essential oils. In addition to skin-care products like soaps and body oil, Limegreen crafts lots of products for the home (like soy candles and detergent) and baby. Walker worked for big-name perfume brands like Victoria’s Secret Beauty and Avon before having a natural epiphany, which stemmed mainly from learning that synthetic fragrances could trigger allergies. She quit her job, spent a year visiting organic farms and distilleries, and then launched A Perfume Organic, a luxe line of scents that are all USDA-certified organic. There are fewer than five such companies in the country with this designation. Walker’s fresh, hand-blended fragrances include Green (a woodsy ylang-ylang, with black truffle, and chamomile) and Mejica (a warm blend of vanillas, resins, and spices) have been so successful that they’re now coveted by beauty editor and shoppers at ABC Home’s Beauty Apothecary. Williams started her line of organic soaps, body oils, and lip balms because she wanted to create all-natural products that worked as good as (if not better than) conventional skin-care products that women regularly use. “I’m super-low maintenance in terms of a beauty regimen, so one of our guiding principals is that we only make products that we’ll actually use and like to use,” she says. Her top seller is organic dry shampoo, which women rave about. Skinnyskinny is also committed to sustainability, using only recycled and reclaimed packaging and manufacturing almost every product in Brooklyn. The approach is working. In January, the company is expanding into a larger workshop space in Greenpoint. Williams is also one of the only beauty mavens to also operate an adorable stand-alone store in Williamsburg, where you can pick up a tiny terrarium while you stock up on soap. Liz Neves was sprung into the spotlight because of her unique smokeable herbal tea, Vivid Visions. But her company, Raganella’s Botanical Solutions, also makes a slew of natural skin-care products using primarily plants and herbs, like the Oat, Goat, and Herb Facial Cleanser and a Bergamot Deodorant Powder. And her philosophy is inspired by an unlikely creature—the tree frog. (“Raganella” means tree frog in Italian.) “They’re sensitive beings with permeable skins that are indicators of environmental health,” she says. Burkeman is a Bronx-native, but she’s been in Brooklyn since 1998. As a child, she watched her mom make home remedies, like nettle leaf and buttermilk for skin irritations and raw potato for sores and bruises. Burkeman decided to apply the same principles to a modern skin-care line. Her small and simple line of five products, made with essential oils, is especially famous for its face creams—Rosewater and Neem for day, and Wheat Germ and Avocado for nightly replenishing. Adams started her line of herbal balms and butters in East Williamsburg (AKA Bushwick) in 2005, because she wanted to introduce herbal medicine to young, hip New Yorkers. “I used irresistible smells and textures and cool packaging with neon colors to make herbal salves and lip balms, well, cool,” she says. Wondering about the company name? Adam’s “CEO” is a cockatiel named Phoenix. McClain traveled to southern France to study at the Grasse Institute of Perfumery before starting her boutique fragrance brand in Greenpoint. She blends natural and synthetic ingredients to create her eau de parfums, which come in tres chic packaging. “Most of my inspiration comes from nature and natural ingredients,” she says, citing an example of a scent that incorporates the smell of a pine tree, or the sea. Her line also includes soy-, vegetable oil-, and beeswax-based candles, and an all-natural “Dude No. 1” beard oil. McClain’s products are stocked in small boutiques throughout Brooklyn and beyond, and she was even tapped to develop a small line for Anthropologie. A stint as a sales girl at Origins in the late ’90s kicked off Graves’s super-successful career as a natural beauty entrepreneur—she’s now a beauty product formulator, a star facialist, and an herbalist. Clients (and celebrities) from all over the city come to her Red Hook live-work space for customized facials and her unique Triangulator diagnostic method.